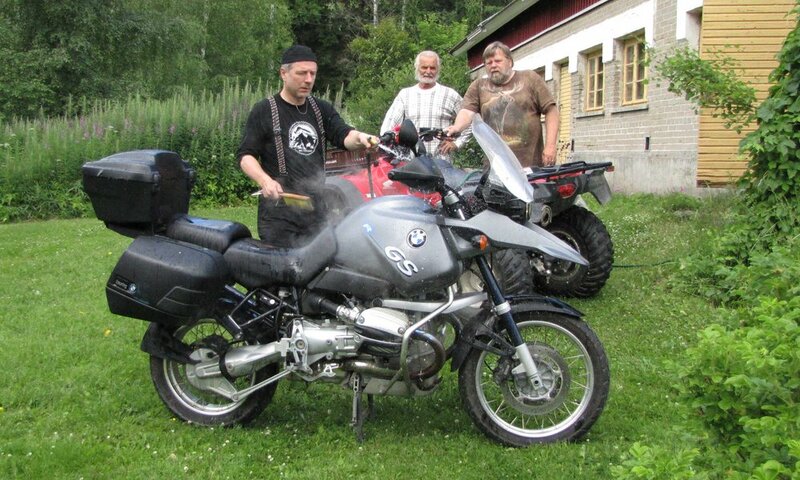 GravelFunRun - Motorcycle tour to Finland — Motorcycle Adventures on The Globe! 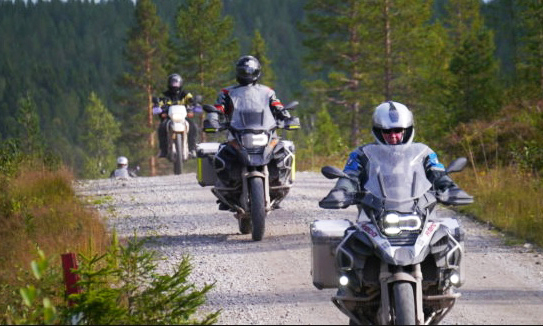 Enjoy this gravel-adventure into the heart of the beautiful Finnish nature. On this tour you will avoid big roads and main roads. You will drive in the middle of wild forests and in the middle of beautiful lake scenes. You will drive on small winding gravel roads and small curvy paved roads with a wide smile inside your helmet! Many of these roads are also favorites for local bikers. Gravel and paved roads go on this tour more or less 50/50! You will discover many of the authentic pleasures of Finnish wildlife. 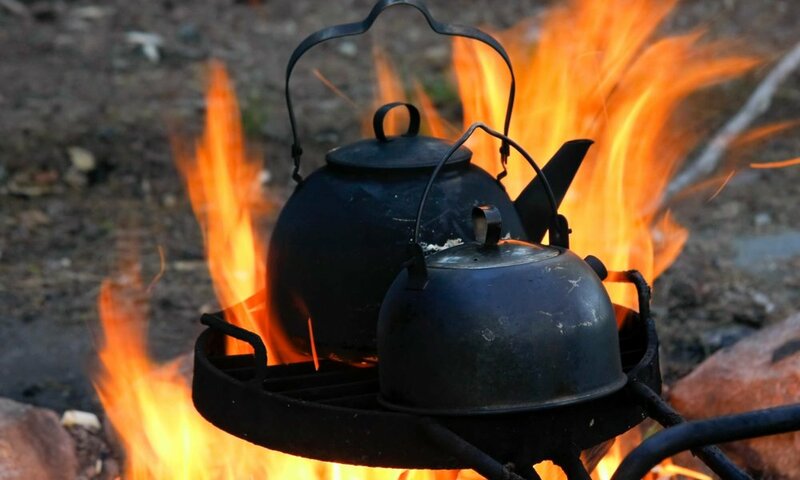 Making 'makkara' on the open fire in the forest is one of the exotic things on this tour. If it is a hot day there is a lot off places where from you can jump into the lake and have a swim! Sauna is naturally a must on this tour! Finns do it always naked, but you can use your swimming suit if you feel more comfortable in it! Finland is full of great gravel roads with almost no trafic! We wish you arrive at your Helsinki hotel until 6pm. On this tour you will stay in Helsinki city center. From the airport you reach your hotel easily with airport train or Finnair's airport bus. A bus is running every 20 minute and a train is running every 10 minutes. Before welcome dinner you can do what to Finns do... have a Sauna at your hotel! At 8pm you will have welcome dinner with your tour leader. During the dinner your tour leader will give you a lot of info from coming days. If you power in your personal batteries after dinner, we will take you for a little city walk to the beautiful Helsinki city center! Showtime after a good breakfast. When we come to the first gravel section, we take it smoothly and see how it goes for you on a gravel surface. Our destination on our first driving day is Finlands second largest city Tampere. Between Helsinki and Tampere there is nothing big. Only small road and small villages! After the check-in to our hotel, we enjoy the Finnish Sauna of course; in Finland everyone has a sauna at home. And every hotel has a sauna! If you have never tried it, this is an excellent opportunity. And since you are in Tampere, you have to try the world famous Finnish Black Sausage, “MustaMakkara”. That is our starter for the dinner today! Today we drive to hilly central Finland. You will drive on paved small winding roads and on small winding gravel roads. You will end your day in Jyväskylä, the home of the big Neste Rally. Our Jyväskylä evening is a special evening. We take a kind of cruise ship to Päijänne Lake. Your cruise ship is a floating sauna with an engine! This is an experience you will not forget! Go East… and North. More lakes and more hills. More fun small roads. We drive on great roads to Savo-area where yes is no and no is yes or maybe. Savo-people say that the truth is under the responsibility of the listener :] In the afternoon you will have a coffee break at a traditional Laavu in the forest. 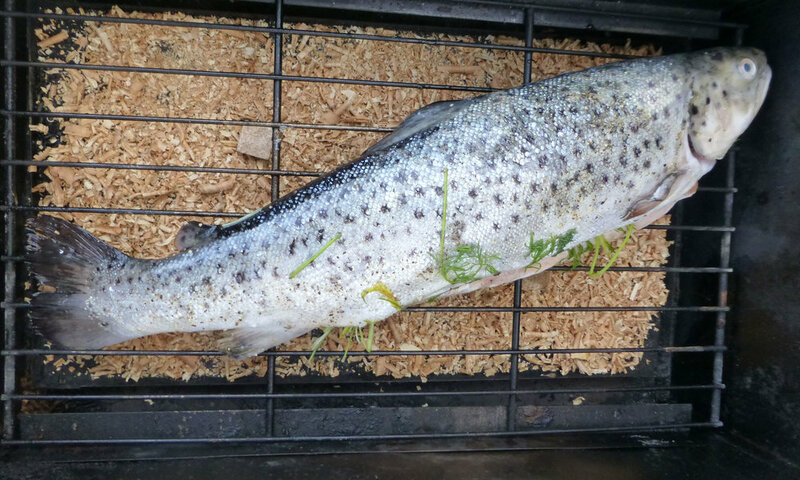 In the evening, you will have the most famous dish in Kuopio. That is “Muikut Muussilla”, which is traditional finger fishes with delicious mashed potatoes. No lack of awesome paved and gravel roads today, either. In the afternoon, we are a bit cultural and we will have a break and lunch at the famous orthodox monastery, The Valamo monastery. Today your hotel will be a Finnish summer cottage (with electricity and facilities). In the evening we have again a special evening! You will we have a tent sauna and barbecue sausages on a campfire… and swimming in the lake of course. It is your longest driving day today, but not too long. Also, one of the best when it comes to the worst of roads, and we will drive the most beautiful stretch on paved roads. In the evening we are back in Helsinki and we return our bikes. That means it’s time for a farewell dinner… after the Sauna. No hurry to get up today, but before noon anyway. Yes, this is the end of the tour. ° Good midrange hotels. One night in a summer house! ° Fulloboard on days 2-7. Dinner on day 1 and Breakfast on day 8. ° This tour is most fun if you drive alone. But however, it go'es with 2 on bike for very experienced bikers! It's 50% gravel and 50% paved roads! Gravel roads base is hard, so do not worry too much even if you have never driven on gravel roads before. Nevertheless, you need to have done at least 2-3 good years of the motorcycling before doing this tour. Paved roads on this tour are mainly small and curvy! ... Fun to drive! PASSENGER - Yes and no. If you are an experienced biker and have been on the gravel roads before so no problem! But if it is your first time on gravel, then you maybe prefer to drive alone! VISA - No visa needed on this tour if you hold a European, North-American, Australian or New Zealand passport. If you come from a country where from visa is required, we help you with that!